One of our favorite parts of spring is watching the birds in our yard and in the woods beyond. It’s not like bird watching any other part of the year. In the spring, birds who migrated south for the winter are starting to return. Birds who stayed here are showing new bright colors and different behaviors. Nature is in full courtship mode. From our kitchen windows, we can see the males showing off for the females with their dances and new bright colors. We watch as they pair off and search for nesting sites. Each spring, a pair of cardinals make their nest in a cedar tree below my kitchen window. It’s always fun to watch as they gather sticks and grasses to build their nests. After the birds have completed the nest, we keep anxious watch for eggs and then babies. This year, I finally decided that instead of just nest watching, we should learn more about the different kinds of nests birds make. We started our bird nests study like any interest led study, by observing. There were several birds in our yard and the woods that caught our attention. Of course, the cardinal in the cedar tree, but there were also two red-tail hawks who kept hanging around together. This was suspicious behavior since hawks are usually solitary creatures.After a week or two of watching the hawks through binoculars, we found were they were nesting high in a tree, far from the house. Tip: Watch birds from afar so you don’t scare them away from the nesting site while they are building the nest. You can watch through a window or with binoculars. After eggs are laid, it’s harder to scare the birds away, so it is possible to carefully observe from a closer vantage point. Wrens, also, nest in our yard. Sometimes in the shrubs along the creek beside our house and sometimes in the birdhouses in the front yard. We’ve been seeing a few wrens in the yard, but haven’t seen them nesting yet. We took a cue from last week’s post and took notes in our new Spring Bird Journal. This is a great way to record your observation so they are not forgotten. Then, you can add any research you might do to those notes. 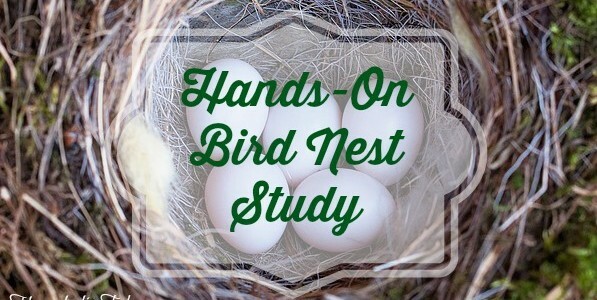 All this observing made us all curious about the different kinds of nests each bird built. Why did they build different kinds of nests? Why did they choose to build their nests where they did? We decided to learn more about the nests of the red-tail hawk, the cardinal, and the house wren. For our research, we used a couple different sources. First, was a book I have had for years – A Field Guide to Birds’ Nests in the United States. I found it at a used book sale. It seems I cannot pass up a good field guide! The second resource we used was NestWatch.org. 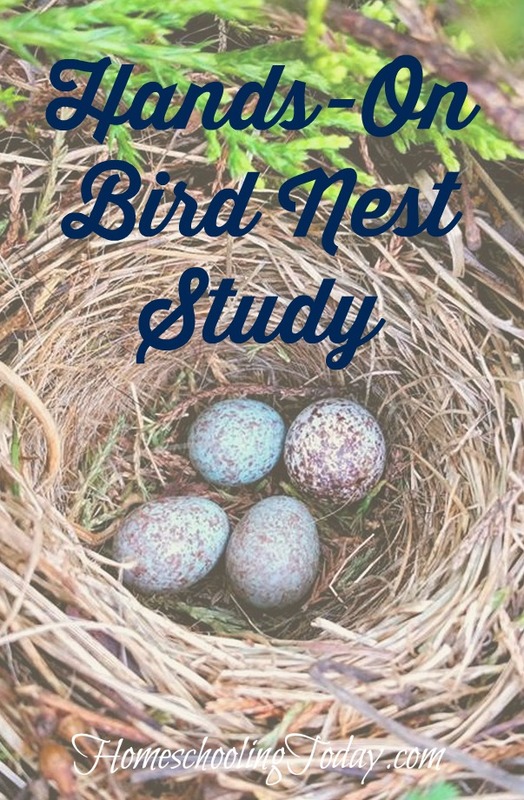 NestWatch is a citizen science project that seeks help in identifying, monitoring, and reporting nesting activity. The site has lots of information on birds, their nesting times, locations, and types of nests. After all our observing and researching, we were anxious to get to building nests of our own. My son chose to create a cardinal nest. He gathered sticks and grasses and did his best to weave them together to make it sturdy. He quickly discovered this was harder than it looked! He added moss to the inside of the nest to make it soft. Inside, we broke out the Legos. Legos are great for almost any science modeling project. 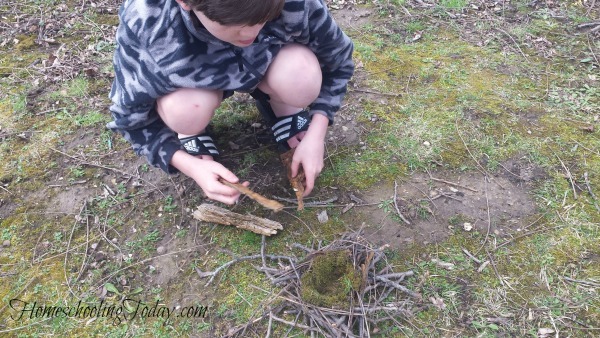 It worked great for building bird nests! The kids love art, so it was just natural to add some art to our bird nest study. The Spring Chalk Pastel ebook from Southern Hodgepodge has a great tutorial for drawing nests with chalk pastels. Our last project will be a birdhouse for wrens. We didn’t have time this weekend, so that is for later this week. NestWatch.org has a “Right Bird, Right House” tool that lets you search for the perfect house for a bird in your region and has downloadable plans! 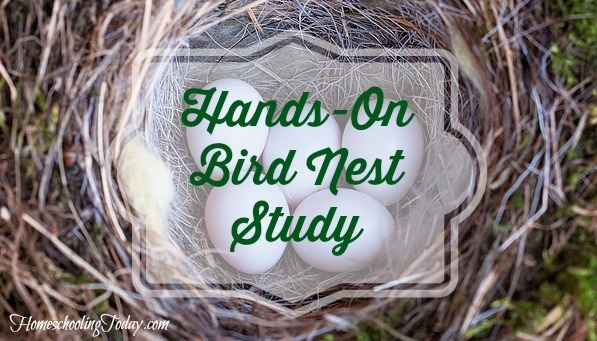 Here is a list of resources you can use to create a bird nest study of your own. 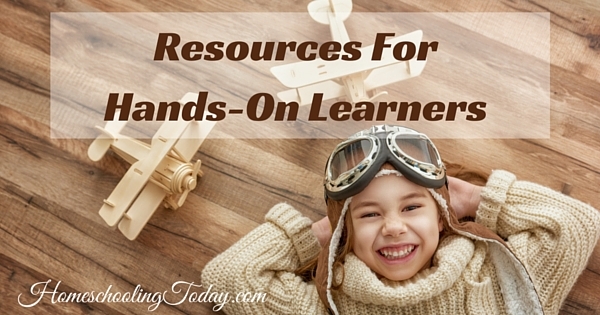 Do you have hands-on learners in your house? Check out our Resources For Hands-On Learners page for lots more inspiration! For more hands-on activities for spring, check out Bugs or Spring Bird Journals! Marci Goodwin can be found blogging at TheHomeschoolScientist.com, where her goal is to take the fear out of and put the fun into homeschool science. Check out her science column in Homeschooling Today Magazine. How fun! 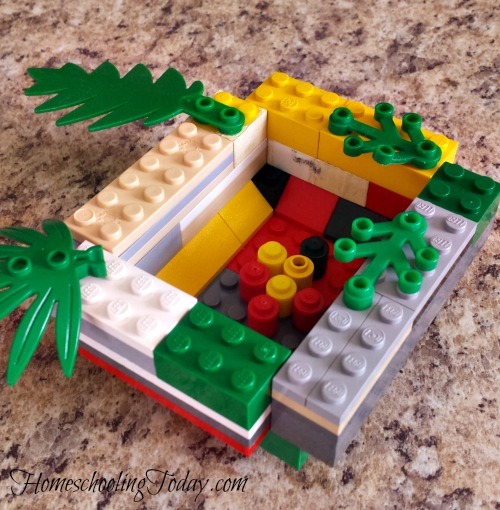 I love the idea of building bird nests; my boys would love creating some out of Lego’s!